For the longest time, Blizzard has been staunchly against the idea of deathmatch modes in Overwatch. It’s a game about teamwork and objectives, after all. Deathmatch has a way of drastically de-prioritizing both of those things. Now, though, the dev team has had a change of heart. The core mode will be a free-for-all deathmatch where eight players face-off in a battle presumably to determine whose ‘ships are canon. All you’ve gotta worry about is eliminations. In an interesting wrinkle, you don’t have to come in first to earn a “win” toward your weekly allotment of Arcade loot boxes. Rather, you’ve just gotta be in the top half of players in a match. Deathmatch will use a series of modified versions of maps that are already in the game as well as a brand new one: Chateau Guillard. It’s a fitting (?) place to host a deathmatch, because it used to be Widowmaker’s home before her husband kicked the bucket. We’ll get to learn more about her backstory while defiling any remaining good memories she had of the place with even more bloodshed. Fun! There’ll also be a team deathmatch option where two teams of six rush to get 30 kills. Kaplan said Mercy’s resurrects will take away kill credits from the other team, which sounds heinously frustrating and basically makes Mercy a required pick. I’ll probably steer clear until Blizzard realizes this is idea, while interesting on paper, is extremely bad. 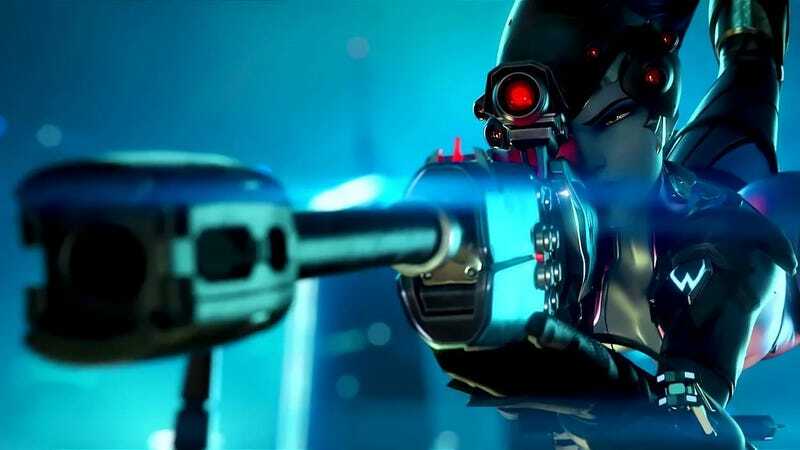 You can try out Overwatch’s new deathmatch options on the PC public test realm right now.